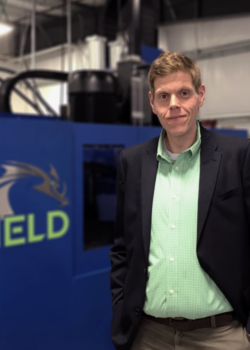 MELD has advanced in the Army's xTechSearch for manufacturing and repairing components for Next Generation Combat Vehicles. The patented MELD technology has earned a spot in the R&D 100 and received a special Market Disruptor recognition. Produce and repair large parts with unrivaled cubic build space. Enjoy extreme material flexibility and the benefits of open-atmosphere operation. 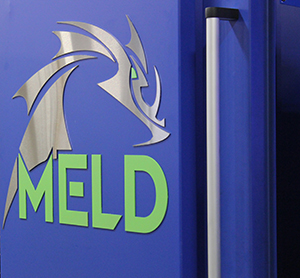 MELD Manufacturing holds more than a dozen patents for the MELD technology, a truly novel and innovative process for metal manufacturing. 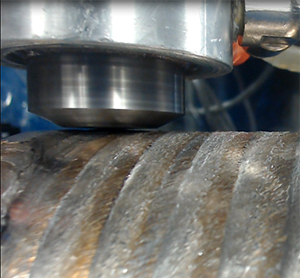 Traditional processes melt metal, introducing weakness and other issues. 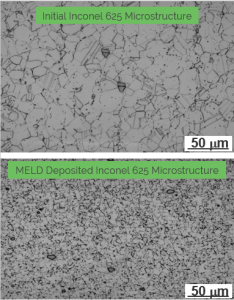 MELD makes the material malleable without melting, offering stronger, better quality parts. MELD is uniquely open atmosphere, meaning no special chambers or vacuums are needed. 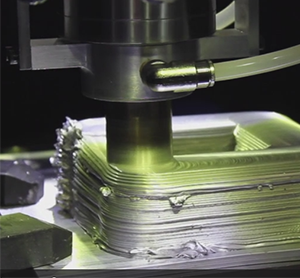 This flexibility not only means less equipment and cost, but also that MELD is scalable and can make parts bigger, better, and faster than other processes. 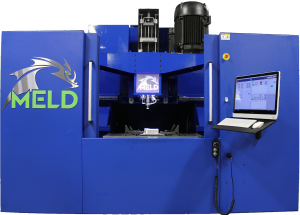 The MELD process is unlike any other and opens up the possibilities of working with materials that were once off the table and can even allow customers to work with unweldable metals. 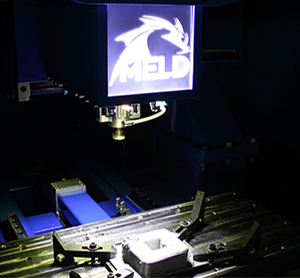 MELD Machines represent more than a decade of research and development. They are streamlined, painstakingly designed, and crafted with user experience in mind. Even more impressively, MELD Machines outperform other technologies in both deposition rates and quality of components produced. A wide range of materials can be used in MELD machines and materials are not limited to powders, unlike many similar processes. We want our customers to enjoy the freedoms that MELD provides and won’t require you to purchase your materials from us. Sign up for our 4-day training course, where you’ll be instructed by experts in our technology and spend hands-on time with our machines.